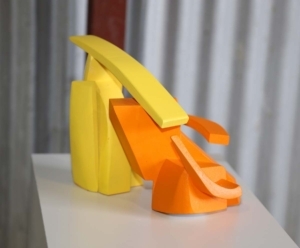 Born in Melbourne in 1946, Roger Head practised Diagnostic Radiology in Sydney until his retirement, and subsequently completed a BFA (Hons), Sculpture at the National Art School. The work presented in this exhibition is a group of wooden maquette, produced in the final year of the NAS course. 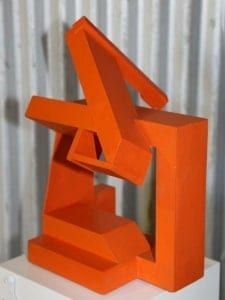 They are formal modern pieces constructed of wood, architectonic in form, and they reflect the influence of my sculpture teachers, particularly Ron Robertson-Swan, David Horton and Jim Croke.